In the presence of a personal computer there are several relatively simple ways to calculate trigonometric functions. These methods are equally suited for conventional computing functions (e.g., sine) and more complex (e.g., arctangent). There are generations of proven method, which does not require something to be considered - to use ready-made tables of values. For Example - "Tables Bradis". You can use classical, that is, paper, publishing and the electronic version in PDF format. The Internet is the ability to copy, i.e. it is not necessary to go to the store. By doing this, will only find in the table the desired value of the arc tangent. However, having access to the network, not necessarily looking for a ready-made list of values, you can find online calculators trigonometric functions. In comparison with tables to use such services much easier. Moreover, they provide much more advanced capabilities, for example, the calculation is not an isolated function, but a formula made up of several operations with the trigonometric functions. You can do without Internet - Windows has a built-in calculator that allows to calculate, among other functions, and the arc tangent too. By default, calculator runs in its simplest form - without trigonometric functions. To reach them it is necessary to disclose in the menu "View" and click the line that reads "Engineering". In the advanced calculator enter a number, the tangent of which you want to calculate. This can be done in three ways. The fastest is to copy the value (CTRL + C) and paste (CTRL + V) into the input field of the calculator. 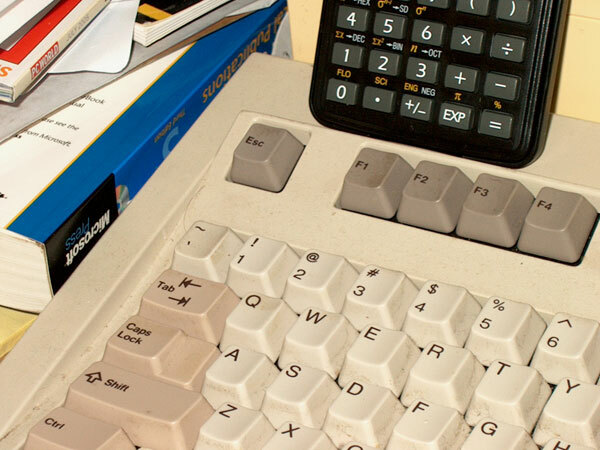 If you can copy not, you can dial a number from the keyboard or clicking the calculator buttons with the mouse cursor. After entering values in any of the ways necessary to select units for calculation. There are three options from which you need to choose one by putting a label in front of it in the selector under the entry field number. Then check the Inv checkbox - this way you will notify the program of the calculator that the functions listed on the buttons should be inverted. Left click the button labeled tg (tangent) and the calculator it is inverted (inverse tangent), will apply to your specific value and show the result in the specified units.